For aftermarket GPS navigation head units, upgrading GPS maps is easy, because maps were copied in a SD card not in a DVD disc. So in order to update the maps you just need to change files in the SD card. 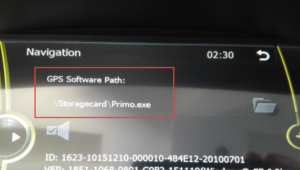 Normally you have already got a SD card which is already inserted in the GPS unit, so all you have to do is downloading new maps and then replace the old maps with the new one. You can get life-time update of GPS navigation maps for free if you purchased any DVD GPS radio from DVDGPSNav. As new maps are too large, so we uploaded them on a reliable site which offers uploading and downloading tools, so that we can upload them quickly and you can also download maps quickly using the downloading tool, just follow below steps one by one to update maps. 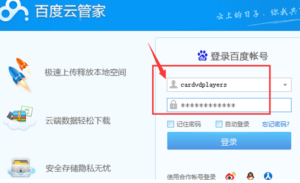 Firstly you will need to download the downloading tool named “BaiduYunGuanjia Application”, you can download it via this link: http://bcscdn.baidu.com/netdisk/BaiduYunGuanjia_5.2.1.exe. Don’t worry, this file is safe, guaranteed. After downloading complete, click this file to install it in your computer(you can easily uninstall it later), after installation complete, click it to enter username and password(you can contact us to get them) then login. In this step you can see maps now. 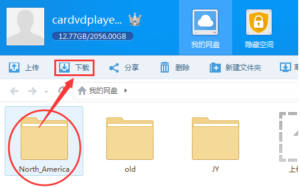 Click “North_America” file folder, then click 下载 to start downloading. Tips: If you need maps for European countries, just click “Europe“. After all files downloaded completely, copy all files to the root directory of an empty SD card(firstly backup your current maps). You will need to set GPS path in settings > Navi Path(or Navigation) before using GPS function, the final path should be Primo.exe. With the step by step instructions as above, you are able to update maps by yourself. If you still have a question, feel free to contact us, we are always ready to assist you.